The town of Gardone Riviera, located in the western part of Lake Garda, is like a huge, luxuriant garden. In fact, Gardone is situated at the beginning of the stunning ″Lemon Trees Riviera″, surrounded by camphor trees and oleanders, bougainvillea and olive trees. Here, Giancarlo and Riccardo Camanini decided to start the gastronomic adventure of Lido 84 – because if Gualtiero Marchesi, Raymond Blanc, Jean-Louis Nomicos and Alain Ducasse are the masters with whom Riccardo grew up, it’s in Gardone that its cuisine takes root. This part of Northern Italy where mountains meet the lake provides Riccardo with a beautifully rich range of ingredients: the raw mountain milk which is used to produce the Fior di latte ice cream, Bagòss cheese for the tortellini, Stracchino cheese and sardines for the risotto, eel, olive oil, lemons and Wisteria flowers for desserts. 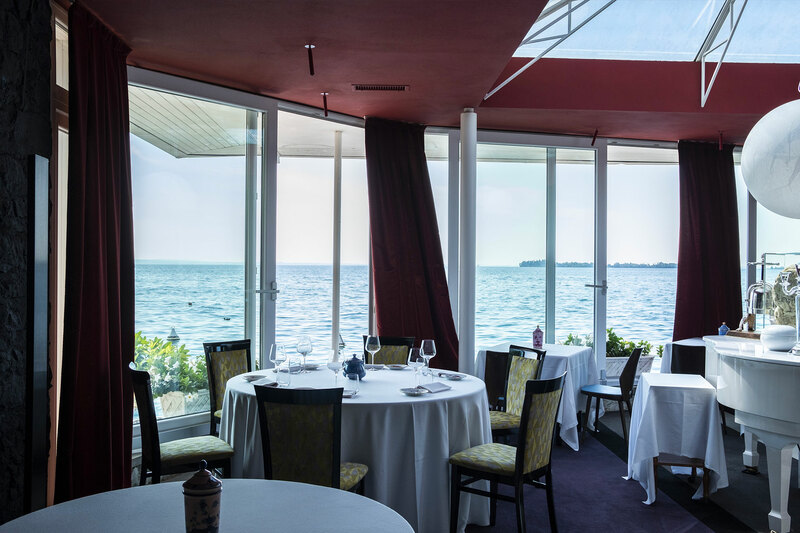 In the dining room, where the gastronomic experience takes place, it is Giancarlo that personifies the restaurant’s idea of conviviality, expressing with delicacy the soul of Lido 84. Meanwhile, in the magnificent dining room as in the vast patio, it is the kitchen staff that introduce the dishes. Because a great meal implies also the pleasure of discovering how the kitchen brigade came up with a recipe and learning the story of its components: an unforgettable meal is also having the chance to get in touch with the creators of a dish. 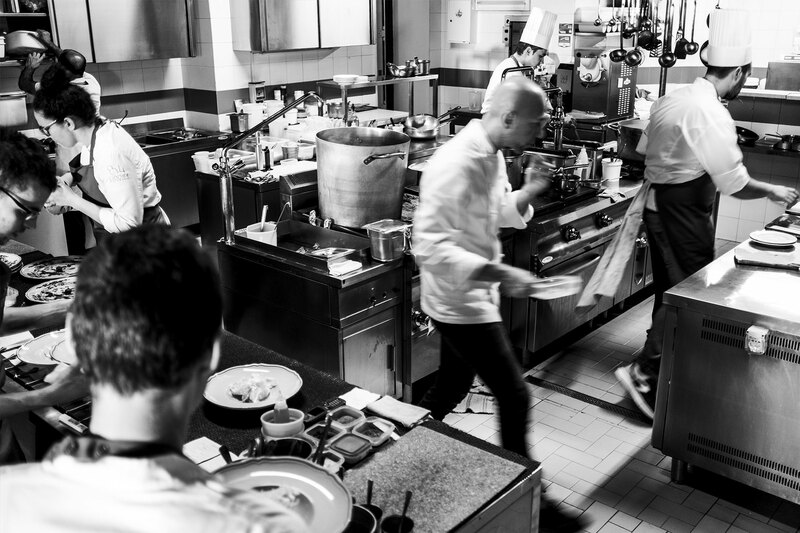 This philosophy incited Giancarlo and Riccardo to «invite the kitchen staff into the dining room»: the desire to share with the guests the long research that resulted in the creation of an accord, that led to the introduction of a contrast, to the decision of employing a specific technique. The aim is to offer a meal which is not only a moment of relaxation and well-being, but also the opportunity to stimulate our imagination. An occasion to practice that distinctive form of curiosity that is taste.